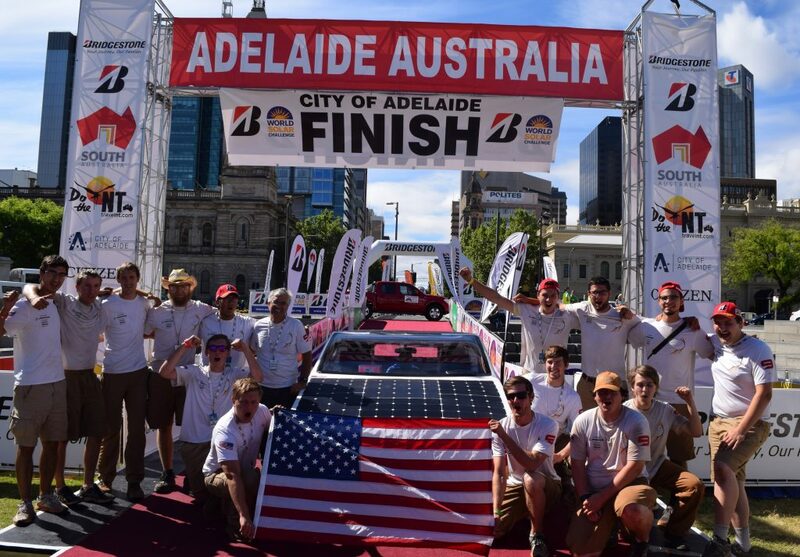 ADELAIDE, AUSTRALIA – PrISUm Solar Car finished the 2017 Bridgestone World Solar Challenge in classic Iowa State style: blasting Neil Diamond’s “Sweet Caroline” as they crossed the finish line in South Australia’s capital city. The team finished the 3021-kilometer journey around 2 p.m. local time on Friday. 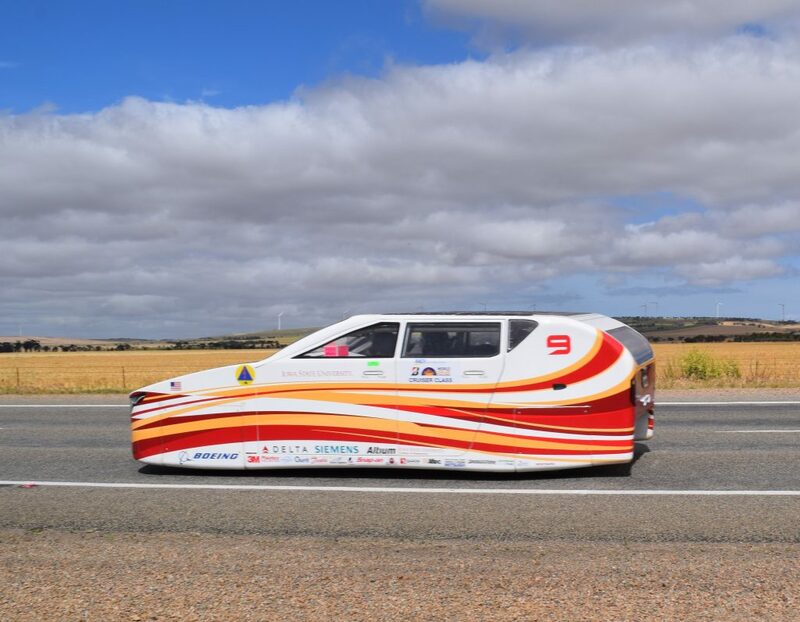 The day began in Port Augusta and the team trekked just over 300 kilometers south through the green, rolling hills of southern South Australia which was at times dotted with wind turbines and sheep. Temperatures were in the 70s and skies were cloudy for much of the day. Despite the inconsistency of the sun, the solar car, Penumbra, had enough power stored in its battery to complete the race. 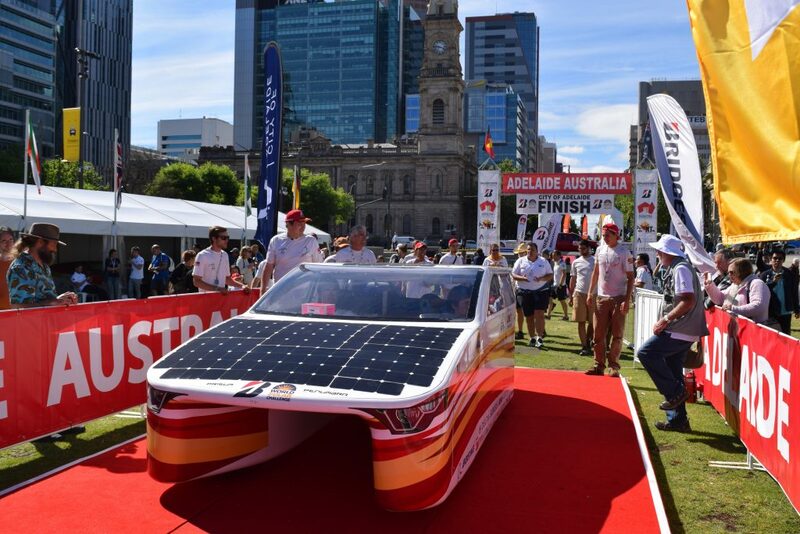 Hundreds of locals, solar car team members, and others greeted the car as it passed the finish line in Adelaide, a coastal city with a population of over 1.3 million. Not only did this mark the end of the six-day race, but it also marked the end of a three and a half year journey for many of the team’s graduating members. Ince, a computer engineering senior from Lakeville, Minn., said the experience was unforgettable. “The race was a challenge and at times very stressful, but being here in Adelaide and looking back on everything I did to make this car a possibility it has been my greatest college experience,” he said. 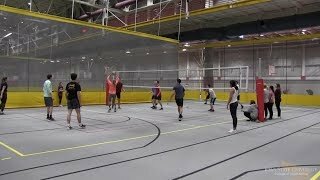 Andrew Bonde, a mechanical engineering senior from Humboldt, Iowa, said it was a testament of his Iowa State University education. “This race has been the culmination of everything I have learned while at Iowa State. 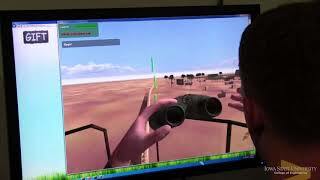 The countless hours I have spent on this project have been displayed and tested while in Australia,” he said. 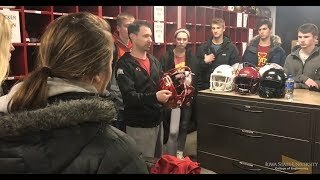 Bonde, who earned the nickname of Frostee, has been with PrISUm since his freshman year and said his time on the team has taught him how to apply what he’s learned in the classroom in a hands-on way. For Matt Goode, a materials engineering senior from Coggon, Iowa, the race was a prime example of experiential learning. Goode will graduate in December and will then depart for Los Angeles where he’ll work as a lead build reliability engineer for the second stage at SpaceX. He said his experience with PrISUm helped to prepare him for his future career. 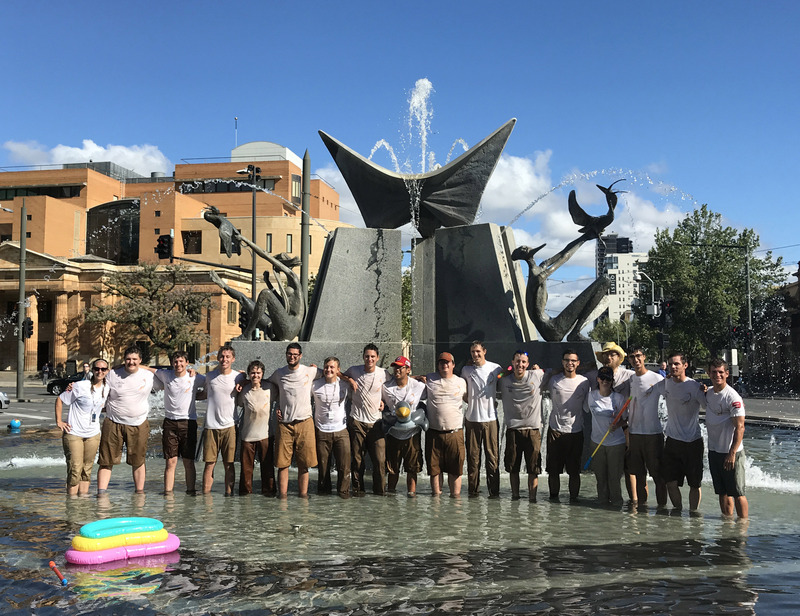 Dylan Neal, a mechanical engineering senior from St. Louis, Mo., was tearing up as he hugged his teammates, all of whom took a dip in the Tree River Fountain in Adelaide’s Victoria Square, a tradition for those who finish the Bridgestone World Solar Challenge. He said finishing the race was a nice bookend to his college career. With the race now behind them, Neal said he hopes that future generations of PrISUm will be able to return to Australia to create the same memories that he knows will be with him for the rest of his life. 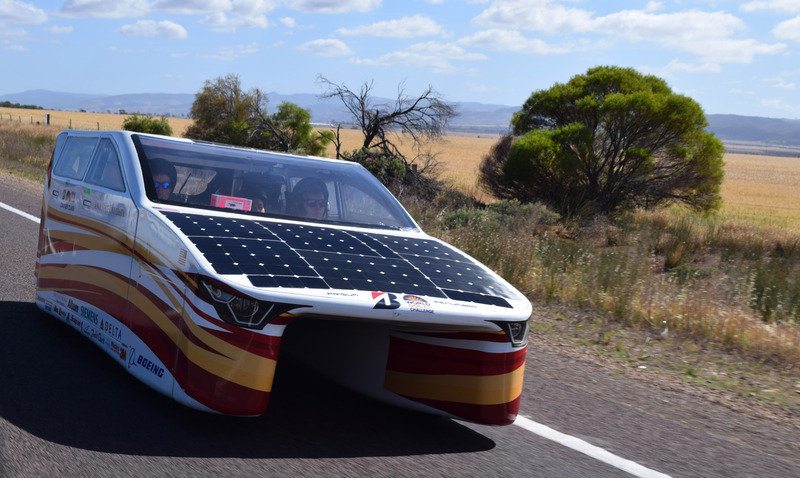 The Bridgestone World Solar Challenge is a 3021-kilometer biennial race that began in Darwin in Australia’s Northern Territory on October 8 and finished in Adelaide in Southern Australia on the 15th. 2017 marks the race’s 30th year and featured 42 teams from more than a dozen countries. Way to go Cyclones! What a great accomplishment! Congratulations Team PrISUm! 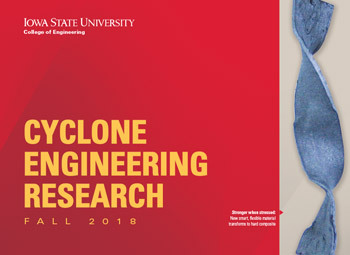 Thank you for paving the way of the future and demonstrating to the world that Cyclones globally shine strong and produce both great leaders and achievers! Our future is hopeful! Just so proud of you all! You are truely amazing! I’m Super excited for what your futures hold! “Sweet Caroline” – what a nice touch. Congrats, team!!! Way to make all of us alumni proud. 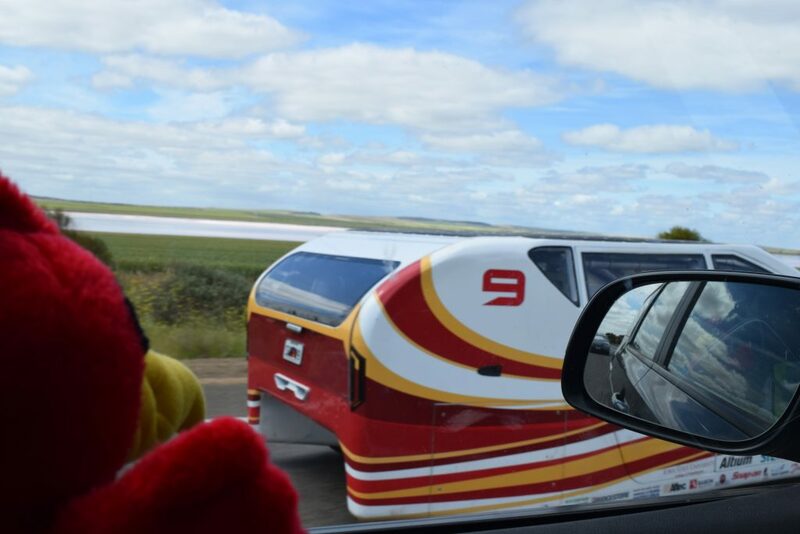 Congratulations to the team for keeping the solar car program alive and well at ISU. I’m so glad to see the success that you all have been able to experience. I participated on that first team helping fabricate the nose and belly pan. Later was the electrical systems co-leader.